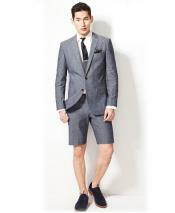 Have you ever heard of what is called as a short suit? 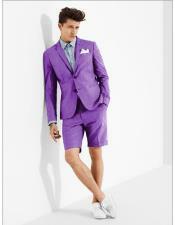 A Short suit as the name suggests is a suit with short pants. This is the latest summer season fashion in the men's clothing industry. 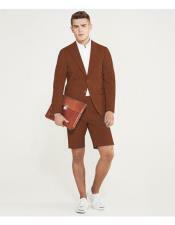 Short set suits or popularly known as short suits, these are the most innovative, unique and trendiest evolution in men's outfits. 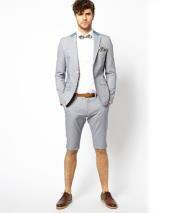 Not all men are comfortable wearing these short pant suits, as the men's suit is resembled to a very formal piece of clothing with complete set including a full sleeved suit jacket, dress pants or slacks and matching dress shirts. 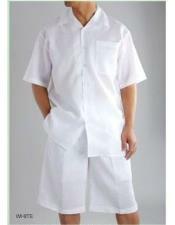 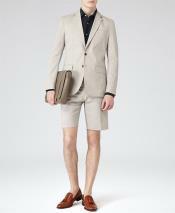 Men's short suit sets consist of a typical men's suit with shorts style pants. 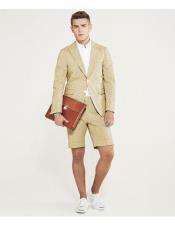 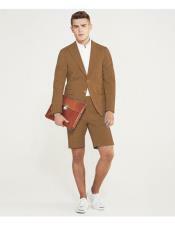 Basically called as suit shorts, men prefer to wear this more as a casual piece of clothing. 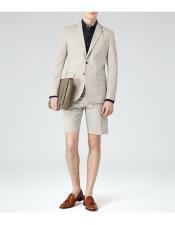 Ideal for summer season these short pants suit has been welcomed by many men who open mindedly welcome all the evolutions in men's fashion industry. 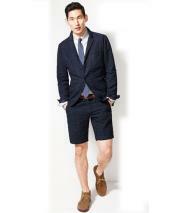 Those men who have welcomed these short suit pants even consider to wear them as regular business wear. Hence these also came to be known as business suit shorts for men. 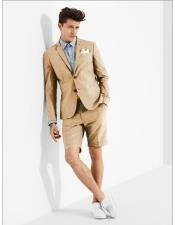 These men's summer suits with shorts became popular with other jacket styles like tuxedos and sport coats as well. One might wonder where it would be suitable to get dresses in a tuxedo shorts men's suit or say a sport coat with shorts. Well men prefer to wear these as a uniform outfit for a friend's wedding. 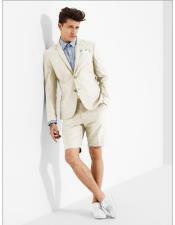 Many groomsmen are seen dresses in tuxedo shorts, a white short suit, a Bermuda suit, or in a suit shorts and blazer for men. They wear it as a common groomsmen outfit. 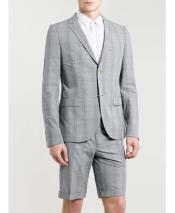 There are all kinds of suit styles available in short suit sets like the single breasted style the double breasted style, different fit options like the slim fit, classic fit, and regular fit, modern fit and so on. The only difference is the length of the pants / slacks which makes it men's shorts. 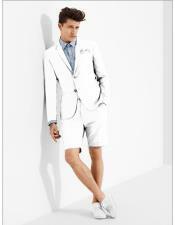 It is definitely not a bad option to choose a short set suit or tuxedo men's shorts, as you can pair up the suit jacket and tuxedo jacket with a full length formal dress pant or slacks. 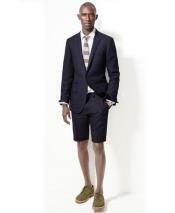 Mensusa leaves no style unattended when it comes to men's fashion. 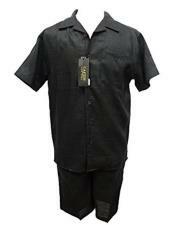 A decade old online store selling latest and stylish men's clothing online keeps it products and styles updated as per the current trends. Hence you will find all possible styles, designs, patterns, colors and so on related to men's clothing. Coming to summer short set suits for men, Mensusa stocks multiple color options, all men's sizes and different styles in short summer set suits for men online. 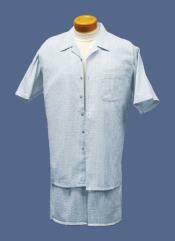 You can pick from a wide range of options available for you. Browse this category to buy men's summer short set suits, sport coat and shorts sets, tuxedo short sets etc, stocked in all latest colors, styles and designs.